Choosing a new boiler to provide the most energy- and cost-efficient solution to your heating and hot water needs can be a daunting affair, which is why A Boiler 4 U Ltd offers a free assessment. Based in Plymouth, Devon, we offer some high-quality gas boiler installation to all, so get in touch today. In today’s climate of rocketing energy prices, you need a solution that will not only provide you with the level of heat and hot water that will meet your current and future needs, but also one that will be more cost effective than your current heating system. New boilers can be up to 30% more cost effective than their older counterparts, so while there may be a small upfront investment, the savings on your heating and hot water bills could be significant. This allows you to recoup any outlay for a new boiler over a few years in running cost savings. Choosing a boiler from our range also gives you enormous peace of mind, with some of the most comprehensive and respected warranties in the industry. 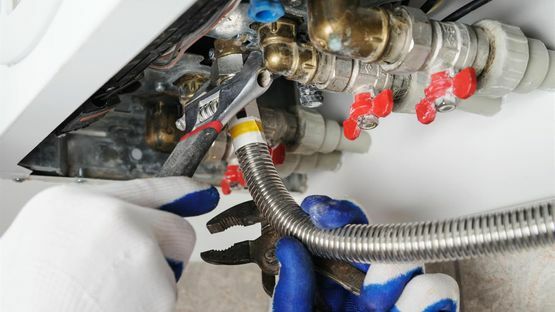 You can rest assured that when you buy from A Boiler 4 U Ltd, your new boiler will suit your needs perfectly, be supremely reliable, cost much less to run than your current set up, and be professionally installed by a team of professionally trained, qualified, and accredited engineers. On top of this you will benefit from the superb customer service that is delivered by the A Boiler 4 U Ltd support team. Contact us, in Plymouth, Devon, to find out more about our new gas boiler installations.